Poole is popular because it is rich with historical significance and old landmarks. Several hundred year old buildings have been converted into restaurants and bars line the streets, and the entire city is dotted with several parks and beaches. 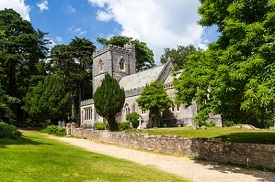 Those interested in diving deeper into the history of Poole can visit churches built in the early 1800s, government buildings that have been immaculately preserved, and even a war memorial for World War I and II. Visitors can also make their way to Brownsea Island, the biggest in Poole Harbor and host to the original Boy Scouts troop.